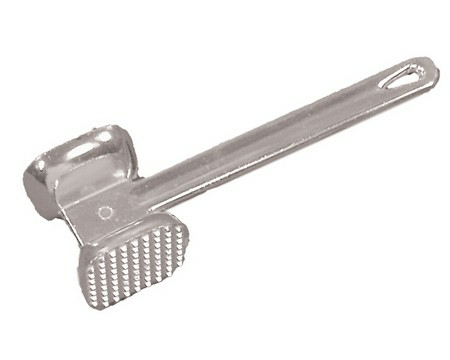 Large Aluminum meat tenderizer. An essential tool for pounding meat and tenderizing. The Fox Run aluminum meat tenderizer is flat on one side for pounding meats like chicken to a uniform thickness for even cooking and the textured side for tenderizing. This gadget is made of aluminum for durability and strength.